What color walls fetch the highest price when selling your home? It’s time to put your house on the market and your Realtor suggest a stager. You are hesitant, not wanting to put any more money into a property you are selling. What if those dollars multiplied over night? It can, and does happen. 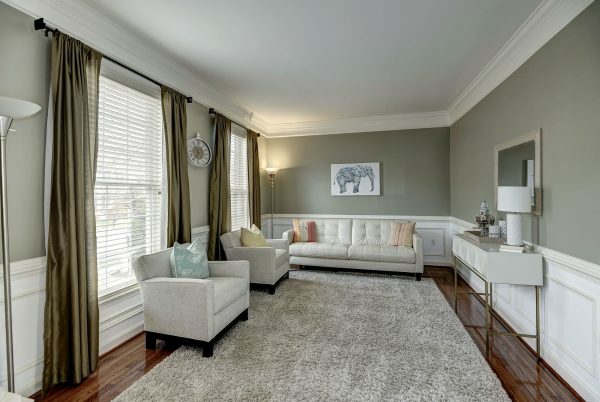 Staging is critical step in the sale of your house. It’s akin to getting your car detailed before selling it. You want top dollar, so you make sure your auto is clean and in good condition. The same process holds true for real estate. Some items are mandatory – functioning heat, running water, a roof that doesn’t leak – others you aren’t too sure about. In Northern Virginia, it is very important to have some sort of “wow” – a draw to the home other than “it’s a nice house”. Our market is made up of very busy people, who spend a lot of time at work and commuting, and they want to just move in to a home. Add to that the fact that we have so much new construction in the area, a home seller really is competing with the latest and greatest when they go on the market. So how do you get that WOW without breaking the bank? Paint. Zillow did a study recently and the results were even more significant than the agents at AGC would have suspected. Color plays a big role in pricing when all things are equal. 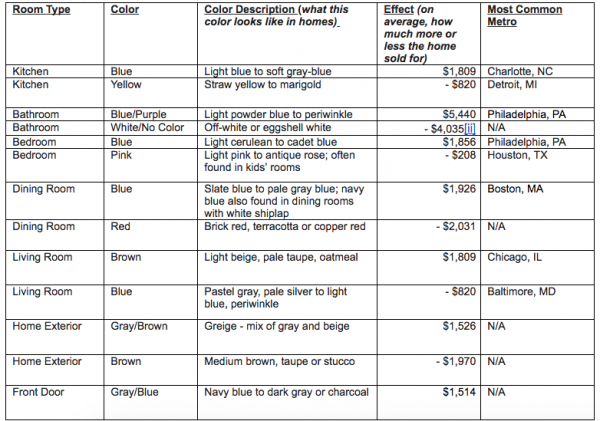 For instance, a bathroom painted light blue would fetch $5440 more than the average sale! That’s over five thousand dollars for a $50 can of paint. I’m sure you’d agree that’s some killer ROI right there, best investment ever.